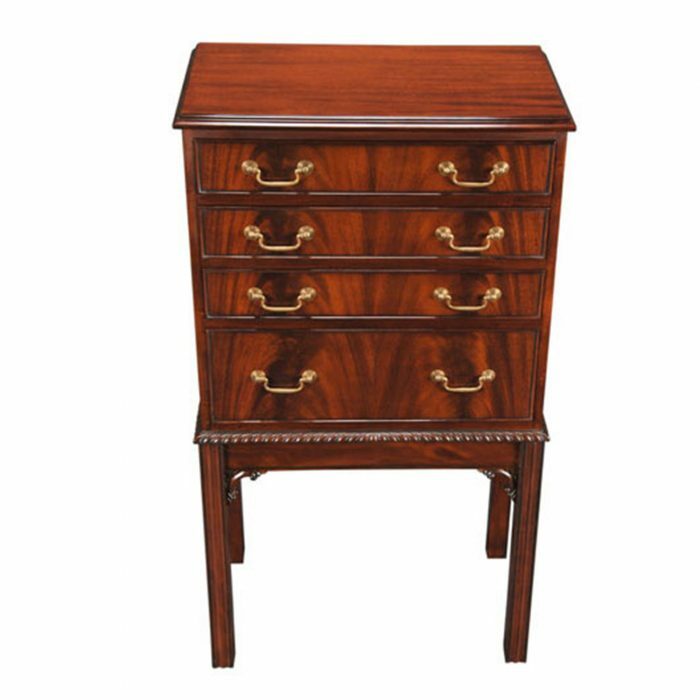 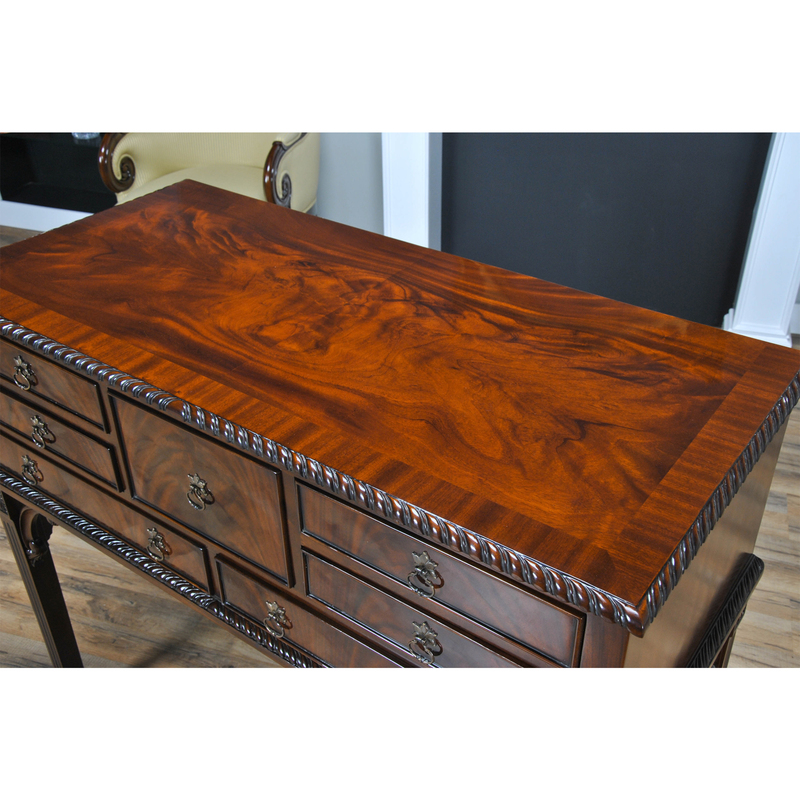 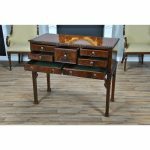 Based on an antique piece of fine furniture this Mahogany Silver Chest from Niagara Furniture is taller than the original antique piece in order to make it more useful for modern living spaces. 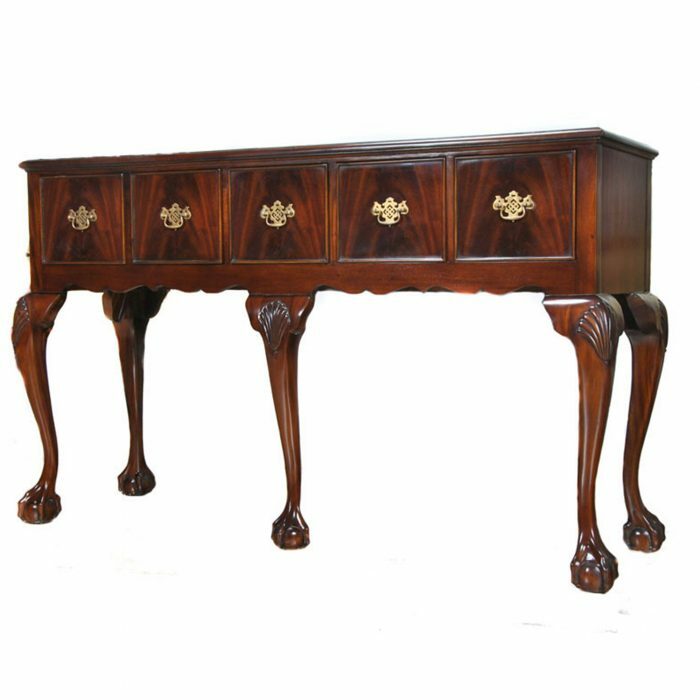 With seven drawers this sideboard offers a lot of storage space while the tall legs give it a raised and elegant appearance. 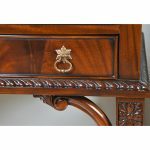 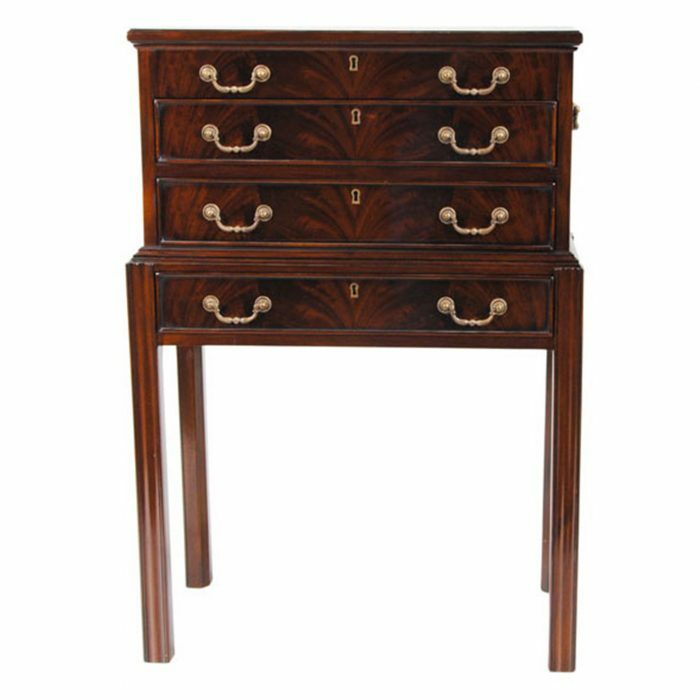 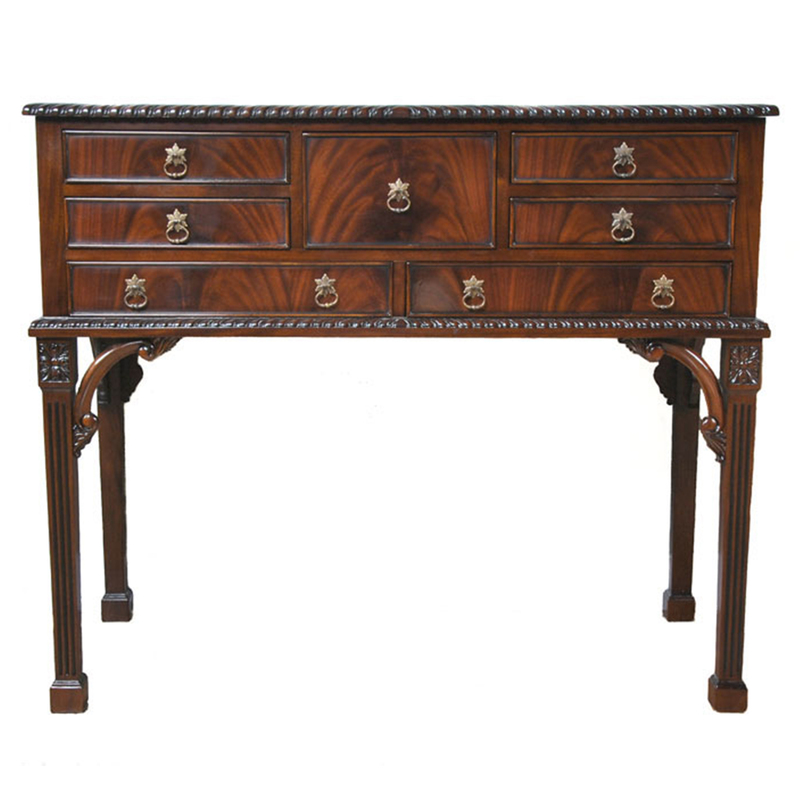 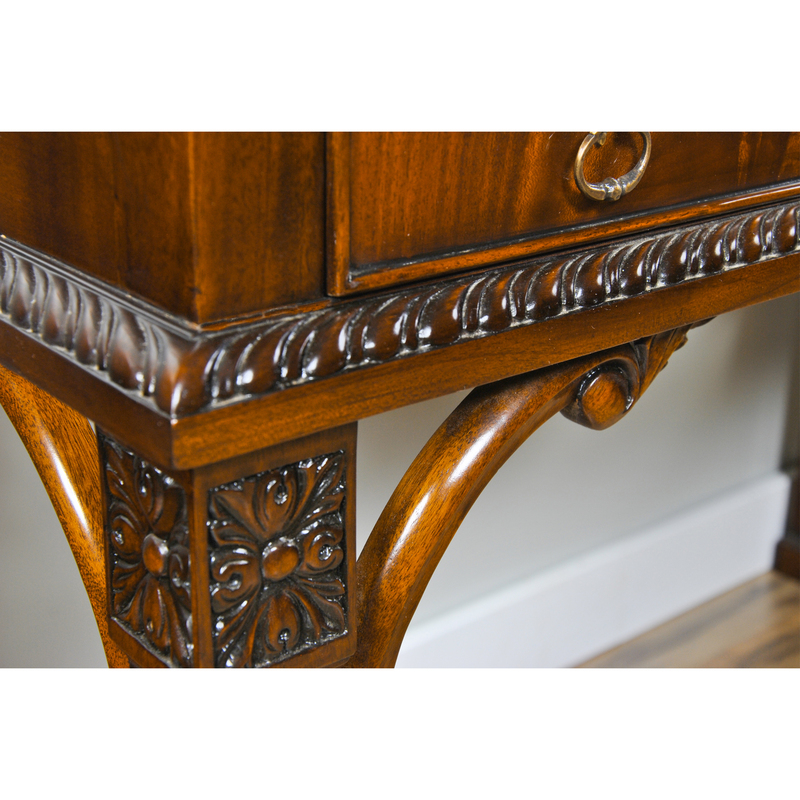 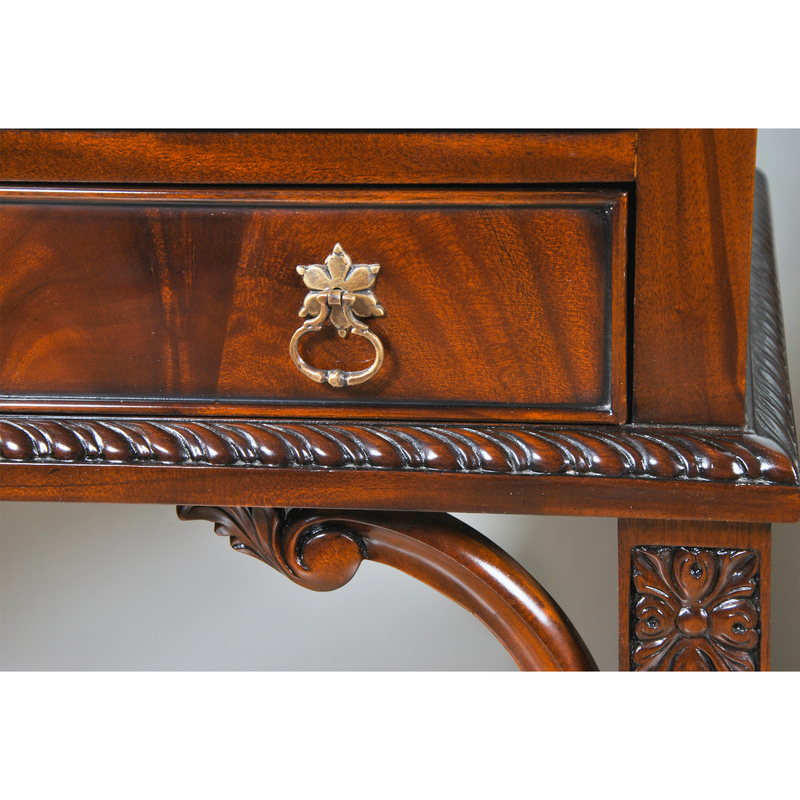 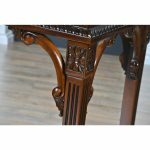 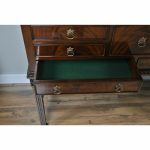 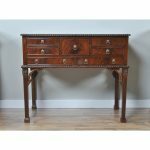 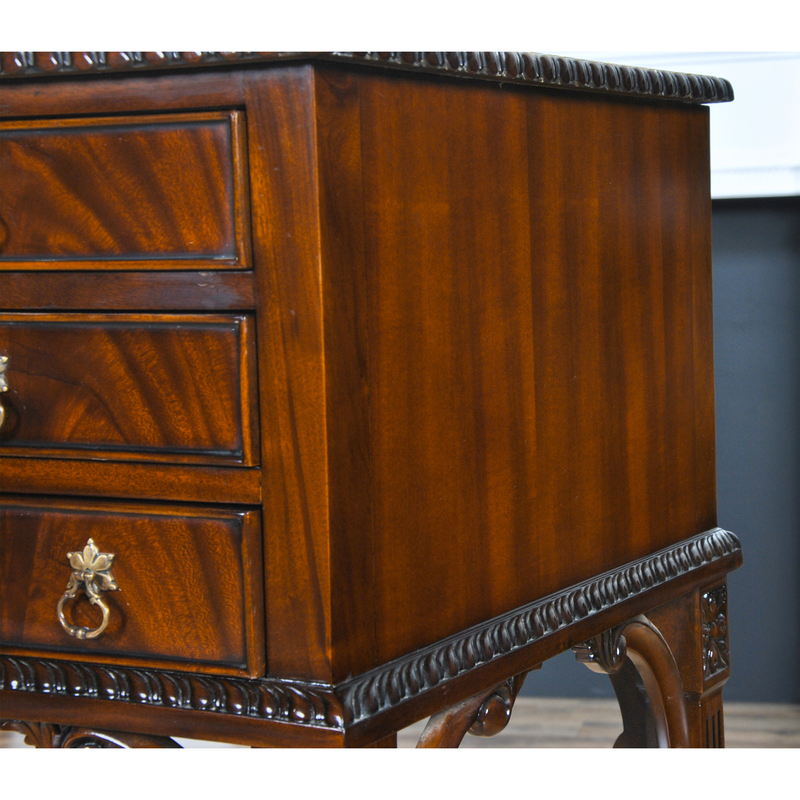 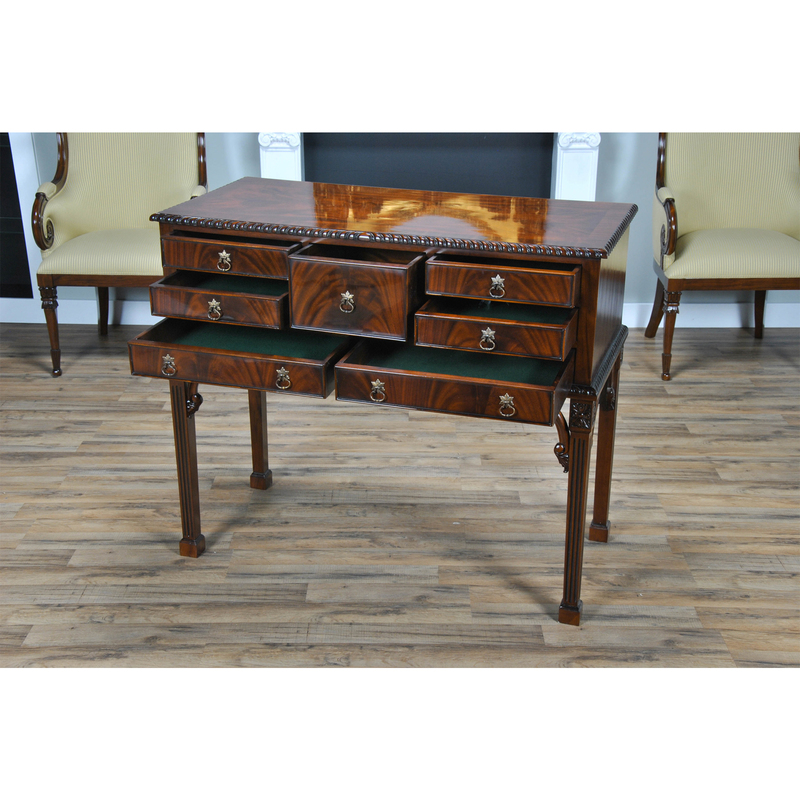 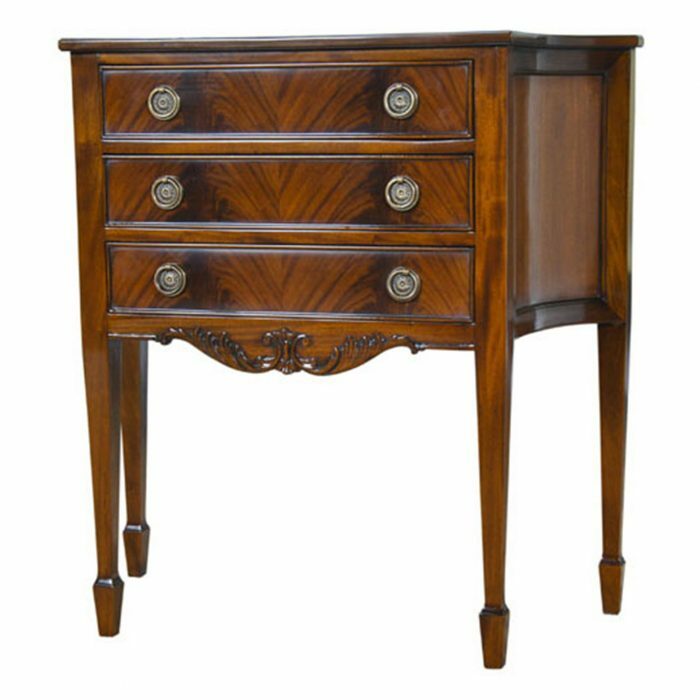 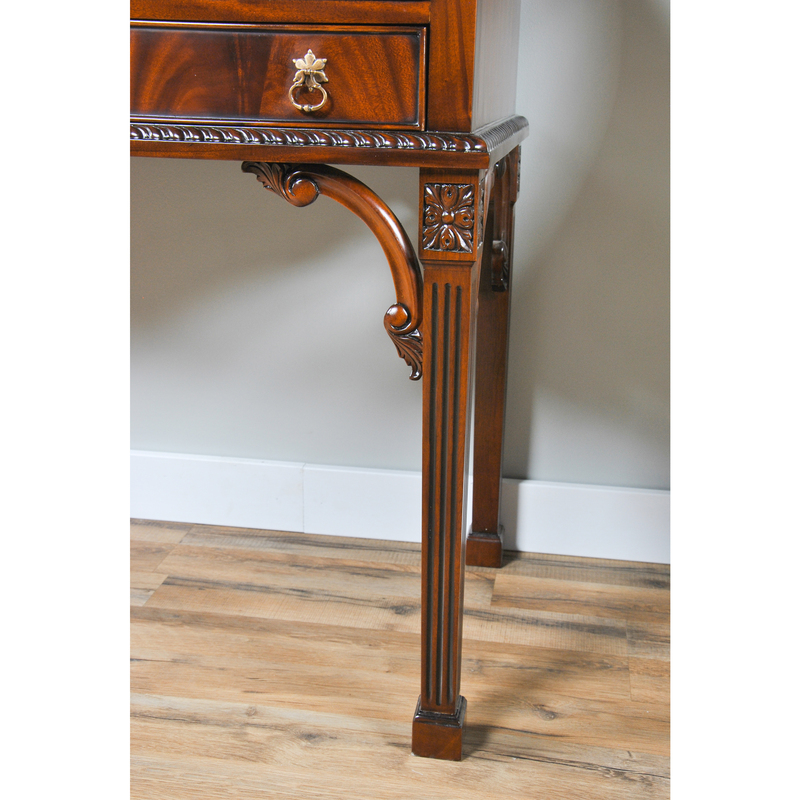 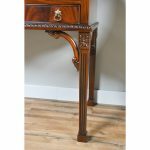 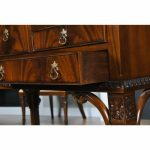 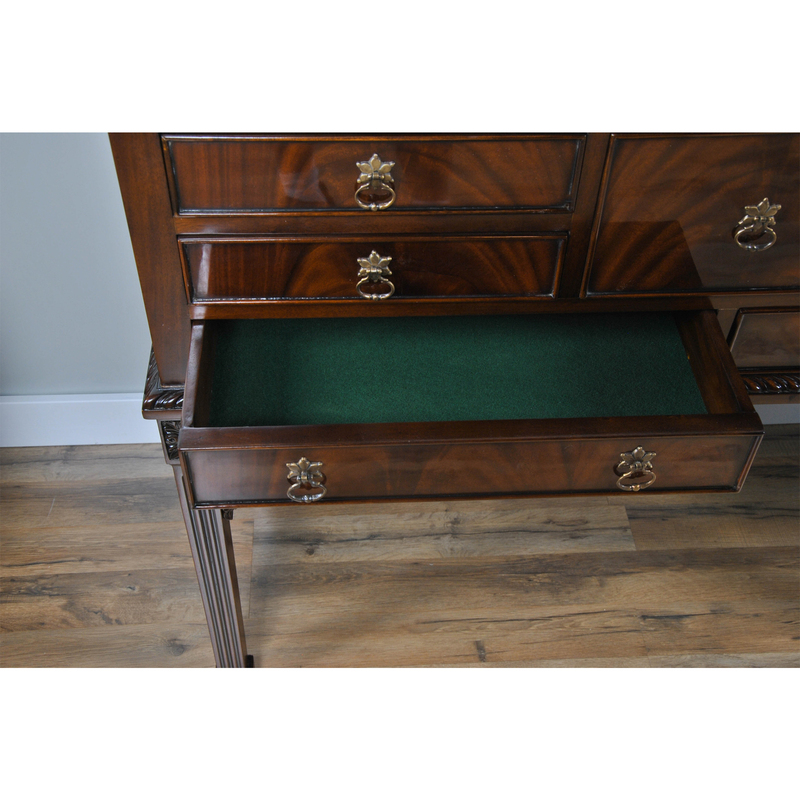 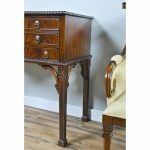 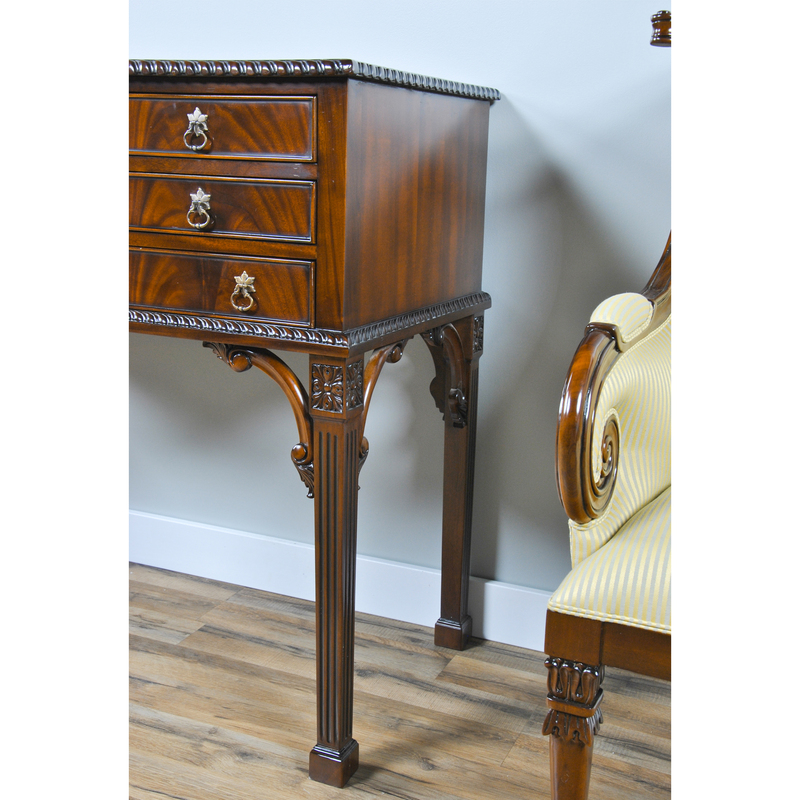 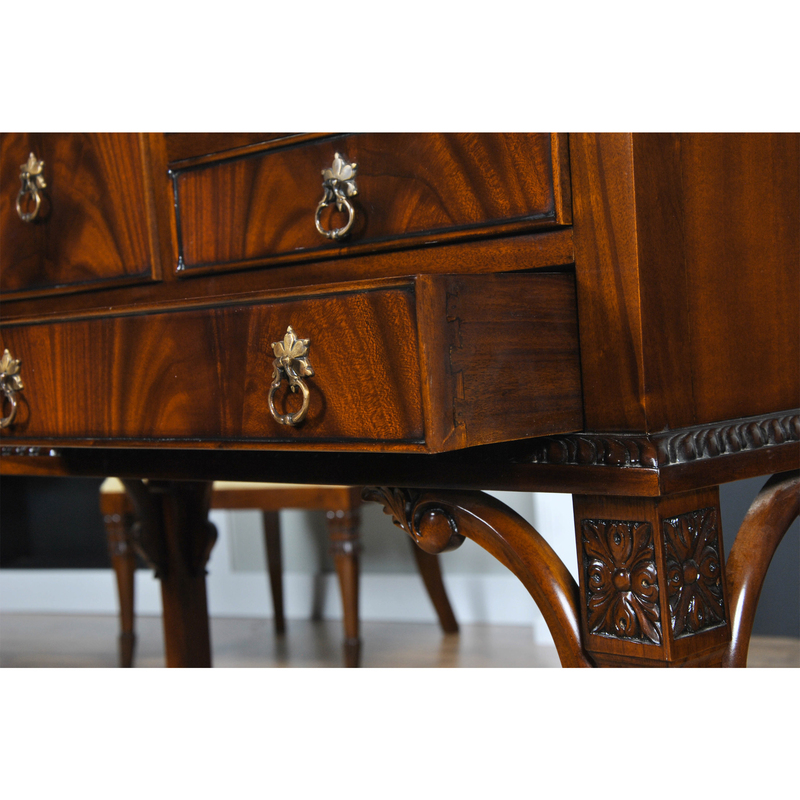 Gadrooned (rope) edgings, hand carved solid mahogany floral crests and reeded legs also lend to the traditional style and look of the Mahogany Silver Chest. 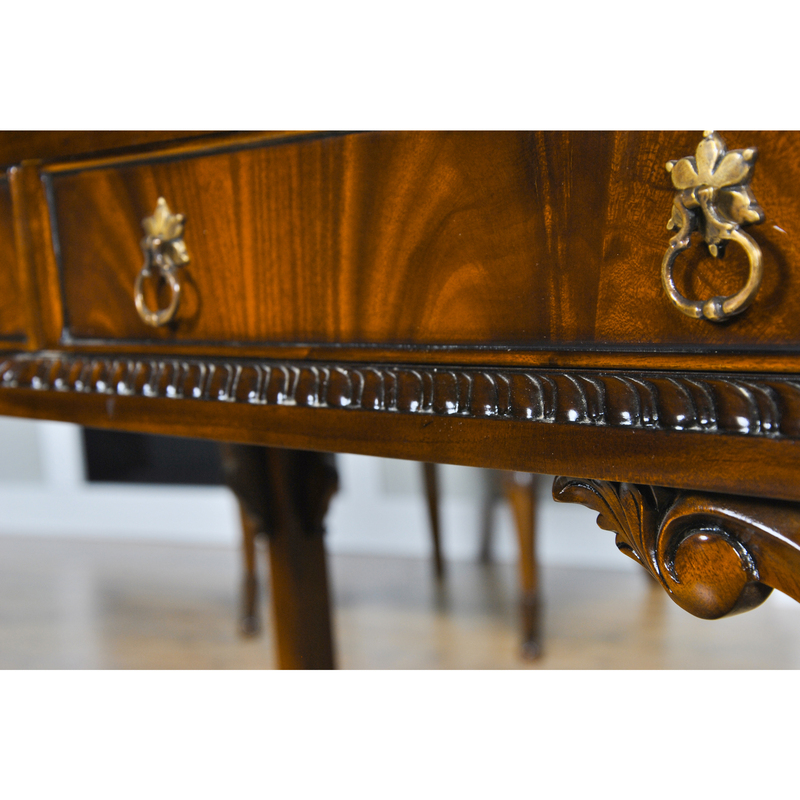 High quality designer solid brass hardware complete the look.